October is LGBT History Month, and this year it is as important as ever to study our past. With all of our recently won civil rights and our dramatically increased visibility in society, the LGBT community sometimes assumes that the features of our culture and the values of our politics are recent inventions. Conversely, sometimes we make the opposite mistake and assume that LGBT people of the past (even before the terms gay, lesbian, bisexual, and transgender first came about) thought of themselves and the community exactly as we do today. These misconceptions are primarily due to the fact that American culture has closeted LGBT history for so long. We learned little to nothing about the history of the LGBT community in school and have thus been denied the benefit that comes with studying history or even being aware that we have a history. I remember, as a teenager, reading gay poet A E Housman in my English textbook, not knowing that his poems written about his male “friends” were actually addressed to the men he loved romantically. It was more important for those who created the curriculum and standards for our education to lead us into misunderstanding the material than to risk admitting to young people that men could love other men in the 19th century or today for that matter. Having a history is an essential part of having a cultural identity. A history explains where we are in the present and allows us greater insight into the direction in which we are heading. It reminds us that ideas, values, and expressions do not materialize out of nothing; they are the product of the collective communal action of the people over time. This history is always evolving and our story is never finished being told because we are constantly discovering more about it. Finally, knowing our history cautions us against the uncritical belief in a progress narrative. It is easy to assume that we live in the most civilized and enlightened of times and that progress inevitably arcs toward justice. In reality, civil rights are often a cycle of advancement and blow back. Social action is usually greeted by an even greater and opposite repressive reaction. We cannot afford to presume that our current social standing is permanent or that it will naturally improve in the future. This insight that studying LGBT History grants us is featured in the first film to seriously discuss LGBT identity, Anders Als die Andern, (Different From the Others) made in Germany in 1919. 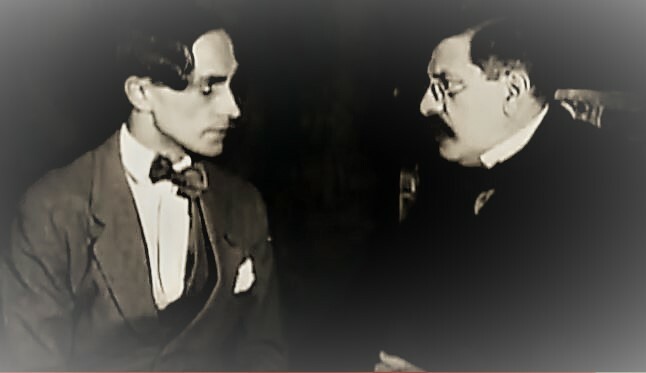 Directed by Richard Oswald and co-written by and co-starring legendary sexologist Magnus Hirschfeld, the silent film tells the story of a music teacher in love with an adult student. He falls victim to blackmail and in despair, he looks for answers. A quack offers a cure through hypnotherapy, but when that fails, he seeks out Dr. Hirschfeld’s advice. Hirschfeld assures him that his inclinations are normal and that it is not homosexuality that is shameful, but rather, it is our intolerant society that deserves scrutiny. I don’t want to go too far into the plot because I would rather you watch it for yourself.